The Leigh Branch was first proposed in 1800 after the completion of the extension of the Bridgewater Canal from Worsely to Leigh. The link would connect the canal to Manchester, the capital of the English cotton industry. There was a lot of disagreement with different canal companies over rights and routes. The first Act failed in 1803 and it wasn't until after the main line of the Leeds and Liverpool Canal was completed that a successful bill was presented to Parliament that was agreeable to all parties. The branch opened in December 1820 and cost £61,419. The branch linked the Leeds & Liverpool Canal to the rest of the canal network. The link to the other canals meant that narrow boats would be used on the wide L&L Canal. It was decided that two narrow boats would be charged the same toll rate as one wide boat. This also meant that the locks between Wigan and Liverpool would have to be lengthened to accommodate the longer narrow boats. The landscape around the Leigh Branch has suffered over the years from subsidence caused by coal mining. This resulted in large flashes or lakes developing in what was previously damp farmland. Subsidence also meant that some locks had to be abandoned and new ones built. In recent years collieries have gone and around Plank Lane whole streets have been demolished. The area now is one of lakes and fields. The Leigh Branch joins the main line of the Leeds and Liverpool Canal towards the bottom of the Wigan flight of 23 locks. Leaving the Leigh Branch one can turn right and head up the remaining 21 locks to the former Lancaster Canal or turn left and go to Wigan Pier and the town centre. At the Wigan end of the Leigh Branch was once Wigan Power Station and the Victoria Brewery. Plank Lane is now a quiet place with a car park and a new marina next to the lift bridge. Not so long ago there were streets of houses here and the Britannia pub stood next to the lift bridge. The area has been cleared of buildings now and there is little evidence of the community or colliery that was once here. Coal from Plank Lane Colliery was some of the last cargo to be carried on the canal, this stopped in 1973. 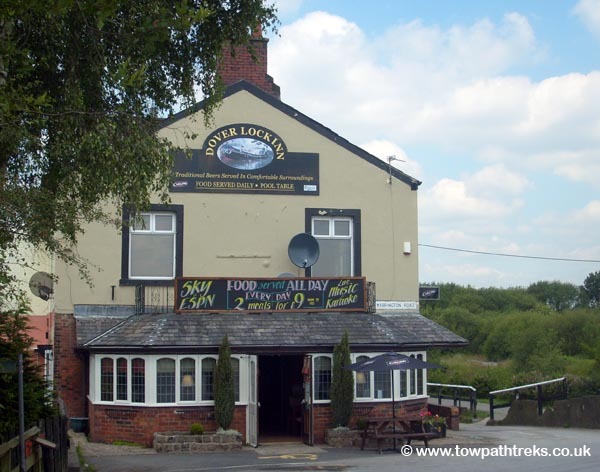 Leigh is historically part of Lancashire but is now within the Metropolitan Borough of Wigan, in Greater Manchester. When the three townships of Pennington, Westleigh and Bedford merged in 1875 the town of Leigh was created. Leigh was once known for its cotton and silk industries and had close links to the surrounding coal industry. Leigh is a Rugby League town, the towns team are Leigh Centurions. Leigh was also home to the nonleague football club Leigh RMI, sadly this team no longer exists.